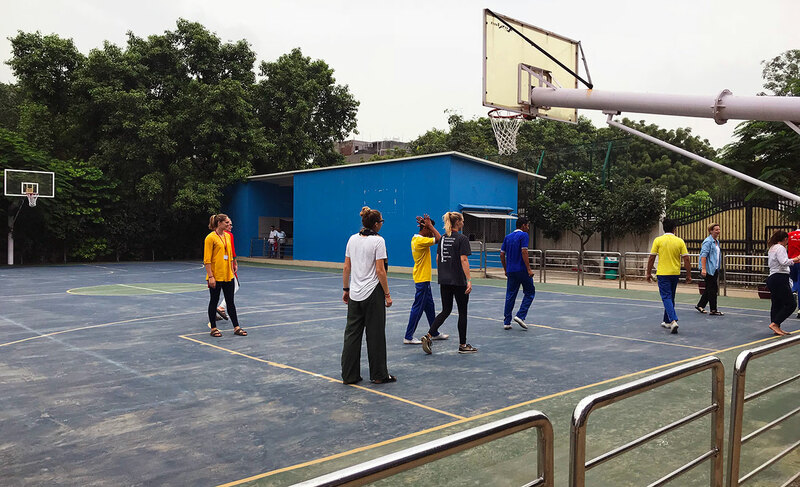 This summer, ten student-athletes from Duke and Stanford lived and served in New Delhi, India for three weeks, leading sports instruction for students at DAV K-12 Public School while also working in small groups at one of four local health organizations. 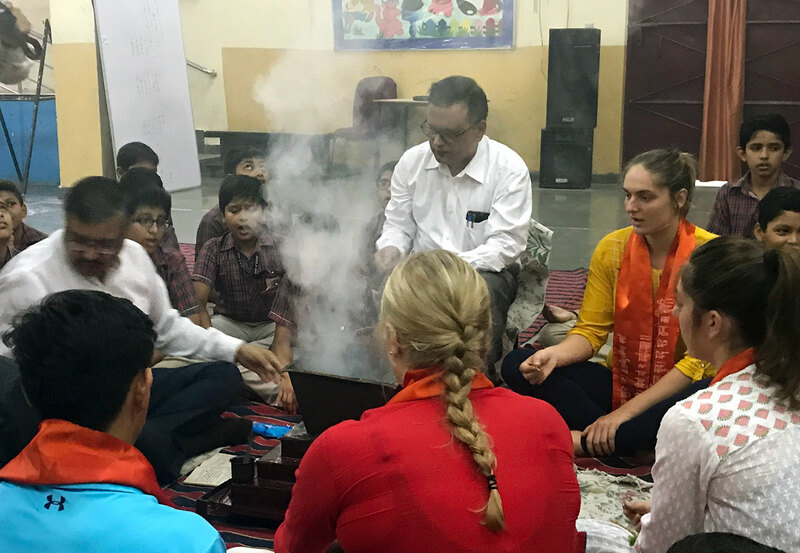 In a change from previous years, this year’s ACE in India program focused on health education and outreach in addition to sports enrichment and coaching. Students also had the opportunity for the first time to stay with a host family for three nights during the program. Student-athletes worked together at DAV one day a week and in small groups of 2-3 at Butterflies (an NGO that provides education and life skills to vulnerable children), Drug Treatment Centre and Society for Promotion of Youth and Masses or SPYM (a rehab center for adolescent males), Action for Autism (an NGO that advocates for individuals with autism) or Goal at the NAZ foundation (an NGO based program that empowers adolescent girls through health education and sports) three days a week. Whether it was participating in drug rehabilitation sessions, teaching English, planning play time for children on the autism spectrum, or preparing nutrition charts, the student-athletes had the opportunity to be engaged in a wide variety of health initiatives. 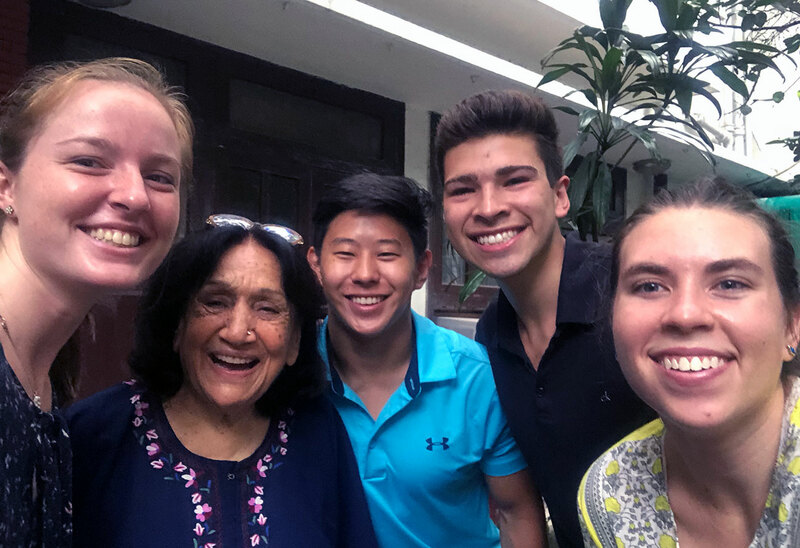 Whether these conversations were held during a nutrition class, a drug rehabilitation session, or tea with Nani Ji, they were more than just words for the ACE student-athletes of 2018. They were vehicles of transformation.